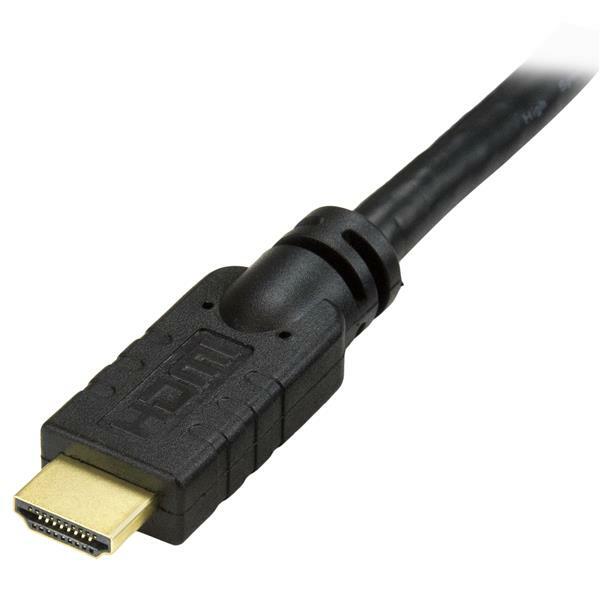 The HDMIMM20HS 20-foot High Speed HDMI® Cable with Ethernet supports the advanced capabilities of the High-Definition Multimedia Interface, including Ethernet data inter-connectivity with compatible HDMI-enabled products, and is fully backward compatible with older HDMI-capable devices. 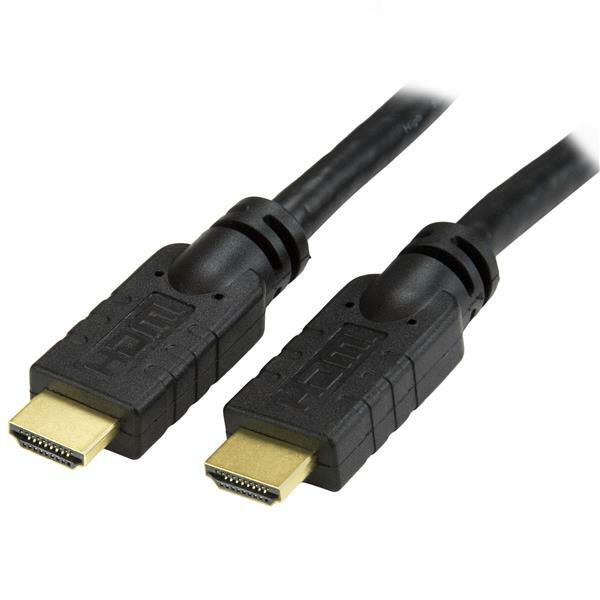 The cable features gold-plated HDMI (male) connectors which help to ensure a high quality digital connection capable of transmitting high-definition video and multi-channel audio between devices such as Blu-Ray Disc™ players, HDTVs, DVD Players, DVRs, stereo receivers and more. All StarTech.com High Speed HDMI Cables are expertly designed and constructed of top quality materials to deliver dependable high-definition performance, and are backed by Lifetime Warranty. Connecting high-definition A/V devices such as Blu-Ray Disc™ players, HDTVs, DVRs, etc. Connecting HDMI-equipped devices such as DVD players, game consoles, etc.